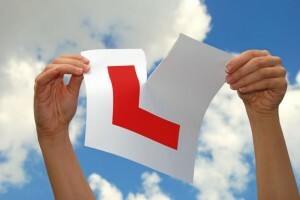 Looking for a driving school Bradford that will ensure you pass your driving test first time? Here at Online School of Motoring our driving instructors are always willing to go the extra mile for each and every one of our students. Here at OSM we understand that finding the right driving school is not always easy. Our aim is to make the learning process as easy as possible and help every individual student to pass their test first time. Every one learns differently and our instructors are patient and dedicated to ensuring that our students get the most out of their lessons. The instructors at OSM all know the stress that you may go through when learning to drive, we all remember our first driving lesson and the amount that we worried! It’s not always easy learning something new and our instructors are willing to go to extremes to help our students, even working unsocial hours! Tests are getting harder, but look at the pass rates! You can take an virtual theory test online, just click here. All beginners will have their first few lessons on quiet roads, giving the student and instructor time to get to know each other and help the student to relax with each lesson. From these first lessons our instructors can see how you learn and what pace would be best for the student. OSM is a family run driving school we over 10 years experience in the driving industry. We always make sure that our driving instructors are fully trained and provide the highest standard service. From previous students in our driving schools Bradford we have seen how diverse the learning process can be, and we try to fit around everyone’s learning pace. For learners on a tight schedule, or just have a very fast learning pace, we offer intensive courses designed to get our students passing their driving test first time and within a short time frame. When having a lesson at OSM you can expect the best quality experience from a driving school. Our dedication to our students is our priority and we always make sure that our students know this. OSM will always work around you, providing lessons even after working hours. Your success is key, and we want to make sure that all of our students get onto the road and stay safe. All of our instructors are trained and have the patience needed for every student. We understand that learning to drive is not something that can be rushed, a student has to take their time to understand all aspects within the driving, to learn the pedals, steering, gearing and general road knowledge. Our key is to produce safe drivers. To book your first lesson at half price, call OSM today on 0798 965 2388.